The Adjusted, a sci-fi Webcomic about a future race who travel to the present to acquire specific genetic markers from humans, uses an alternative delivery approach--instant access by streaming and allowing downloads simultaneously without the need to download applications. 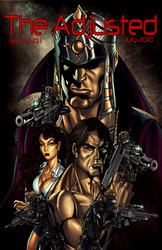 Created by Trilogy-Media LLC, the series offers a hot music soundtrack, exceptional graphics, and a fast-paced comic story as an engaging content combination on its e-commerce website, http://www.theadjusted.com. To complement the rising sales of iPads and Droids, Trilogy-Media LLL, a start-up Webcomic publisher, is offering rich-media, sound-enhanced content, for these (and any video capable) mobile device. The Adjusted, a sci-fi Webcomic series about a future race who seek specific genetic markers from the DNA of humans in the present. The series delivers a hot music soundtrack, excellent graphics and an engaging sci-fi story as a streamed video for delivery. For a limited time, the company is offering free downloads of ringtones and wallpaper from the first issue of the series on its e-commerce website, http://www.theadjusted.com. 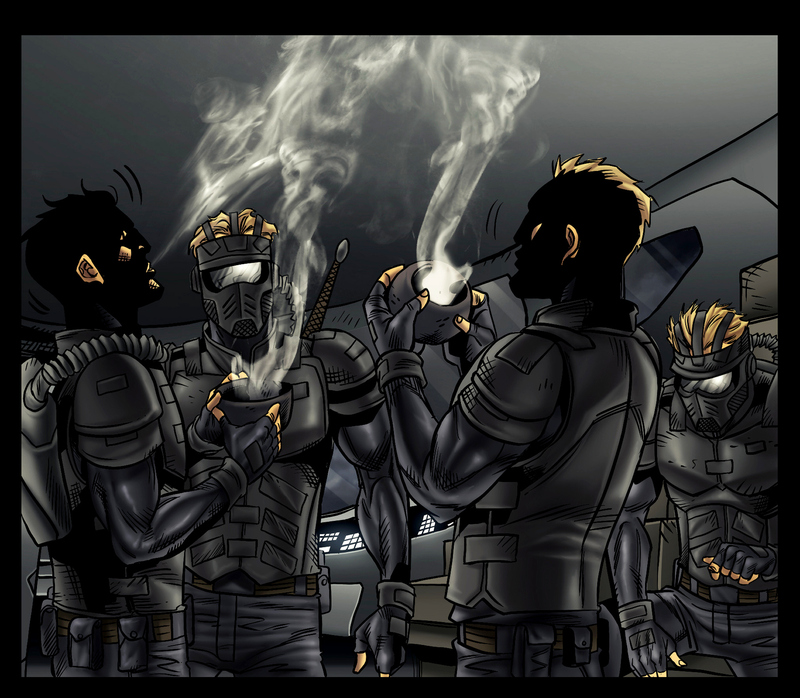 The company developed the webcomic without an app in hopes of decreasing time to market. While other publishers have followed industry leaders in developing apps for their comics (or offering them in the Apple Store), Trilogy-Media is attempting to take a more direct approach to access. For all users of PC, hand-held, or mobile devices, The Adjusted Webcomic is available as a video stream without the need for application downloads. Two forms of the comic series are available for download—a music enhanced multimedia video slideshow version and a standard pdf version. Both versions are optimized for playback or view in all the latest portable devices once they are imported into iTunes, iBooks, or a video content folder. In development for 18 months, The Adjusted Webcomic is distinguished by its driving, cosmic beats that enhance the action of the story and the scene transitions of the high-resolution graphics. The Adjusted.com was conceived by Kenneth Bass, President of Trilogy-Media LLC. A music producer and electrical engineer, Bass has been a fan of comics since growing up in Washington, DC. Recently, he relocated to Melbourne, Florida, where the company is based. “Getting from concept to creation and launch took perseverance. But things began to fall in place,” says Bass. Along the way, we probably changed our business model five times. But we knew what the comics community wanted, what was lacking, and what we thought we could offer. In the end, the verdict of the community is all that will matter,” he said. Bass says there were signs his team was on the right track. The uptick in iPad sales, the incompatibility of Apple and Droid devices, the introduction of Apple's Airplay, HTML5 and Flash delivery, all forced the team to come up with a cross-platform solution for mobile devices. "What they all have in common is video playback. All of that kept us moving in the direction we've taken. Bass says the success of the recent Comic Con in San Diego this past July demonstrates the overwhelming enthusiasm in the industry as a whole. "Everyone loves a great sci-fi story. Everyone loves a hot soundtrack. Everyone enjoys excellent artwork, action, and graphics. We aim to deliver all three." An i-Pad is only one device for experiencing “The Adjusted.” It can be streamed and downloaded to any PC or Mac as well.